They will definitely need to be wired in by radio – farmers aren’t necessarily the most approachable comedians when it comes to appearance, but when you give ’em a radio they churn out the real charm. 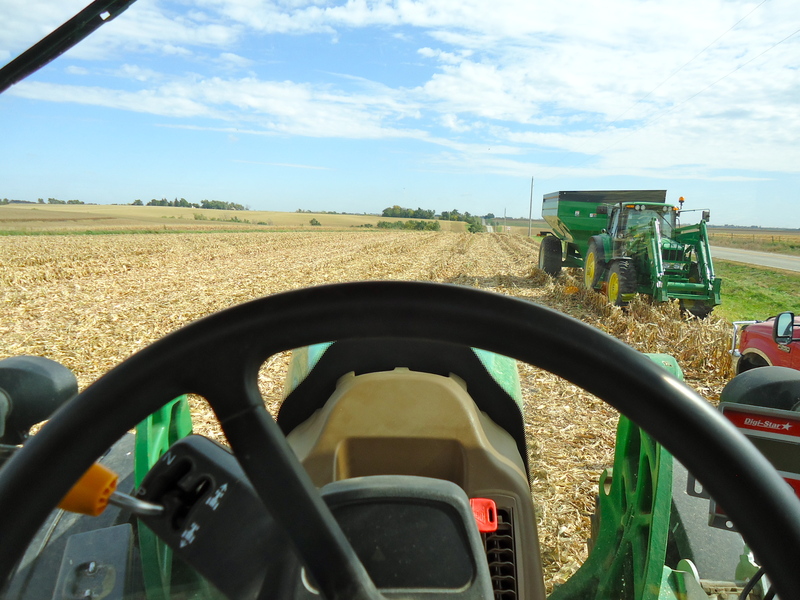 From the seat of a combine or tractor (the 20 ft. view, some say), the world makes sense. Things are divided into rows and bushels and pounds and yields, so the mind can wander into those clever little things that don’t make sense at all. From that little throne in the little glass cab, the world is his soybean (and those are pretty glamorous right now, aren’t they?). It’s not just a radio you need (if you’re thinking you could secretly tap a farmer’s radio and air it during prime time to make a buck). No, you need time… like hours. You see, part of the farmer’s charm (Eeyore’s anyway) is that there’s no rush. When he climbs the steps to his throne in the morning, he knows he’ll be ruling all day long. So, he strings out his material… across about 8 hours. A joke here, a sarcastic remark there… it’s good for the same reason a birthday is good – you wait and anticipate and then celebrate because it doesn’t come around too often. If we’re talking rain (as all farmers do), then it’s more like a drip-drop then a flash flood. Eeyore: See, now they’re startin’ the game early on Saturday, so’s them Hawkeyes can get to drinkin’ earlier. Eeyore: Well, I don’t know that it’d make much difference. Me: You can lead a horse to water, but you can’t make him drink. Eeyore: Well, with them I think it’s the other way ’round. You see how he did that? He lured me in with something interesting and a bit vague, drew out a comment or two, and then went in for the slam-BANG finish. Impressive, folks. That’s what that is. But, back to my point… it’s the 3-5 exchange and then silence. No explanation, no resolution, just silence. If I’m in eyeshot of Eeyore, I’ll see him slowly put the walkie-talkie back in its place and concentrate on the rows ahead. This is key. He’ll be funny again when he’s ready, but not before. I still haven’t figured out how to make any money off this discovery. Eeyore is always bothering me to make money off my ideas, like this blog. He and Partner think they should be getting paid royalties because I’m using their stories. I said I didn’t use their real names. “E’rbody knows,” he says (I’ll just let him think that this blog has that kind of reach). I told him I don’t get any money from the blog. He thinks I should get sponsors so that I’m getting paid for the time I put in (you know, a ROI). I told him money doesn’t make any sense to me and I don’t care much for it. He said I better find someone who cares a little. This entry was posted in anecdotes, funny stories, Life Insight. Tagged Eeyore, Farmer, Humor. Next Post Next post: what if grass was pink?